Raise your banners and defend your family’s honour. 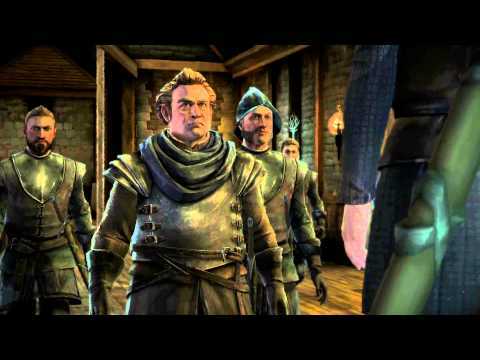 Take up arms in the war of the five kings and raise your banners as key members of House Forrester in this Telltale Games episodic adventure. Ironrath, your family’s house in the wild North lands of Westeros, has become embroiled in the power struggle that has corrupted the sprawling world of George R.R Martin’s “A Song of Ice and Fire” story – and to protect your homeland, you too must play the Game of Thrones. Fight to remain loyal to noble House Stark throughout the six instalments of this episodic adventure, as you encounter various much loved – and loathed – characters from the hit TV show and book series.